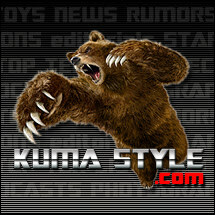 Toy Nippon: BBTS News: Power Rangers Megazord, Breaking Bad, Star Wars, Transformers, Iron Man, The Walking Dead, Dragons & More! BBTS News: Power Rangers Megazord, Breaking Bad, Star Wars, Transformers, Iron Man, The Walking Dead, Dragons & More! 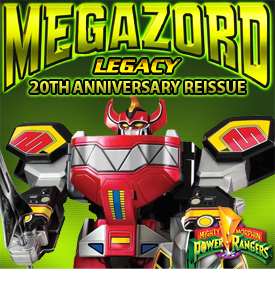 For all of you who missed out the first time around we now have a reissue of the MMPR legacy Megazord. 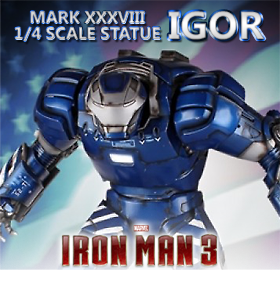 This reworked version features die cast parts, metallic paint, metallic foil stickers and all the functionality and morphing ability found in the original. Forms the five original Zords as well as other battle modes. Westland giftware has just released twenty cool new Frozen items. Choose from Tin Totes, Nightlights, Salt and Pepper Shakers, Mugs and more. Increase your collection of Teen Titans Figures with three new offerings from Jazwares. The 3” Figure Set of 3 includes Robin with a desk, Raven with Trigon, and Beast Boy with a Refrigerator and is listed at $39.99; the 2.75” Robin comes with a 5” vehicle and is listed at $18.99; and the 2” Figure Four-Pack is listed at $20.99 and includes Raven, Beast Boy, Robin, and Cyborg. For the special occasion, Leatherface wears a dinner jacket, shirt and pants, and a newly sculpted, "Pretty Woman" version of his mask. He comes complete with chainsaw accessory. A number of new weapons replicas from the hit film series have been listed for pre-order. These richly detailed props feature ornately sculpted details, hand-painted colors, and weathering effects to match the movie props. They include the Staff of Thranduil at $219.99, Tauriel's Bow and Arrow at $364.99, Fighting Knives of Tauriel at $319.99, the Short Bow of Legolas Greenleaf at $364.99, a Rivendell Elf Helm at $499.99, the Regal Sword of Thorin Oakenshield at $389.99, the Staff of Gandalf the Grey with Pipe at $359.99, the Illuminated Staff of the Wizard Gandalf at $259.99 and the Black Arrow of Bard the Bowman for $218.99. Brought to life in a brilliant collaboration between Sideshow Design and Development and Blizzard Cinematics teams, Deathwing is a magnificent polystone statue standing 25.5” tall with a wingspan reaching over 30 inches! The expertly sculpted detail and rich paint application with translucent wing effects makes it the ultimate must have for Warcraft fans and collectors! Your Marvel Select Collection will get a jolt of excitement from this exclusive Electro action figure. Spider-Man’s most shocking adversary is fully articulated and includes detailed prop base. Hello all of you Ashley Wood fans! We have a brand new WWR figure for you. 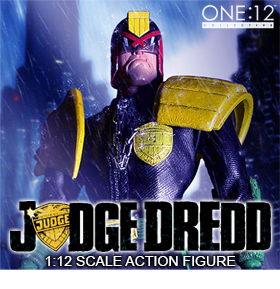 The 1/6 scale Night Fixer Jenkins comes with a handgun, spanner, and a tool box. We have three MGT close out items to offer. First up is MGT-01 Delicate Warrior, Blue and Green repaints. Each of these figures comes with a gun, base, character card, and manual. Both of the Delicate Warriors DO NOT come in boxes and will be loose in sealed plastic bags. Each of these is priced at $39.99 We also have the MGT-06 Nightbird who features 24k gold plated sais, metal weapons, and feet magnets and is priced at $54.99. Coiled beneath a quilt of innumerable glittering coins and stolen treasures, the mighty Smaug™ slumbers; dreaming of gold. The Dwarven city of Erebor was no match for a fire drake and was taken in a storm of death and flame lasting mere moments. Nathan “Rad” Spencer is the hero from the acclaimed Bionic Commando video game series. This 17” tall, museum quality polystone statue is hand painted to the finest detail and captures Spencer perfectly in fighting pose, complete with his intricately detailed Bionic Arm and themed display base! If you want to expand your collection of 1/6 scale military figures and weapons, then check out this offering from Damtoy, 303 Toys, and Easy & Simple! First we have the highly detailed 1/6 scale Chinese People’s Liberation Army Special Forces Recon Figure featuring a long list of clothing, weapons and other accessories and is listed at $145.99 Next we have the China Series 1/6 Scale Soldier Captain figure listed at $104.99, and four 1/6 scale Barret MRAD Precision Rifles in Dark Earth, Multi-Role Brown, Olive Drab Green, and Tungsten Grey each listed at $39.99. Need your fix on potato wedges? No worries, Fries-Enberg has you covered! Check out this cool new Breaking Bad Mr. Potato Head Figure. Standing at 6” tall and sure to come with all the Mr. Potato Head accessories you would expect. If you are looking for highly detailed historical figures, then check out these offerings from Toys Power. These figures are based on General Yue Fei, as he is portrayed in the Chinese television series “The Patriot of Yue Fei”. The set of Qin Hui & Yue Fei comes with both figures, extra hands, table and chairs, and a tea set, and is priced at $269.99 The Loyalty of Yue Fei figure comes with a dagger and extra hands and is priced at $109.99 and The Patriot Yue Fei figure comes with regular and battle damaged head sculpts, 4 pairs of hands, armor, a host of weapons, flags, and a horse with armor and is priced at $249.99. Gentle Giant Ltd. is proud to continue our Walking Dead line with the addition of the Carl Grimes Mini Bust! Each limited edition bust is hand-painted and comes individually numbered with a matching certificate of authenticity. Never one to turn down a fight, Star-Lord is depicted wielding his twin blasters in the throes of combat. This limited edition bust by Gentle Giant Ltd. is rendered using the highest quality polystone and hand painted. Each piece comes individually numbered and is paired with a matching certificate of authenticity. From the hit series AMC’s The Walking Dead, Gentle Giant Ltd. Has captured Michael Rooker’s Merle Dixon in all of his undead glory! Each limited edition, hand painted statues comes individually numbered and is paired with a matching certificate of authenticity. The characters of the long running TV series The Simpsons star in this series of PVC figures form Monogram! Collect all of your favorites, or collect them all! We have Homer & Donut, Bart, Lisa, Marge, Comic Book Guy, Bartman, Homer, Maggie, Chief Wiggum, Krusty the Clown, Mr. Burns, and Apu, all in stock now. Now in stock from DX9 is the War in Pocket set of Medilance and Plague. These third party figures stand roughly 4” tall in robot mode. Medilance changes into an ambulance, while Plague becomes a spaceship. No Disney Pop! collection is complete without Lilo, Stitch, and Lilo’s homemade doll Scrump! These karate chopping and punching figures come with an authentic cloth outfit in a resealable plastic clamshell package that you can open and close without damaging anything! Series 01 features Superman, Shazam, Green Arrow & Aquaman; and Series 02 features Batman, Robin, Riddler, and Joker. 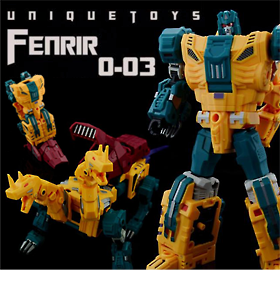 Series 01 or Series 02 Set of 4 is priced at $119.99 and the single figures sell for $32.99 each. Based on the classic 1966 Batman television series, these retro-styled figures are in a larger size with real cloth costumes, and their articulation cannot be beat. The Set of 4 is listed at $104.99 and includes Batman, Robin, Shame, and Mad Hatter. Single figures are listed at $26.99 each. The Living Dead Dolls Presents: Annabelle figure will stand ten inches tall and feature five points of articulation. She wears film accurate clothing and features the same hairstyle as seen in both THE CONJURING and ANNABELLE films. She can cause terror in your home for $26.99. Kiss of Death is an exclusive incarnation of one of the most popular dolls, The Grim Reaper, and is ready to celebrate his undying love for the price of your soul. The Kiss Of Death set comes complete with the emissary of the netherworld dressed in his classically designed robe and a deluxe kissing booth-styled window box and can be yours for $25.99. This unique figure features a new metallic finish that gives it an otherworldly look that accentuates the Psychoframe. 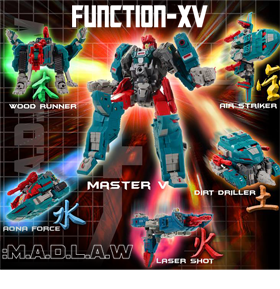 It comes with interchangeable hands, Beam Magnum, Hyper Bazooka, Beam Gatling, shield, Beam Saber, and display stand. In commemoration of Masami Kurumada Sensei’s 40th anniversary, Pegasus Seiya makes a grand entrance in stunning gold metallic finishing. He comes with a special display frame, four interchangeable face parts and four interchangeable hand parts.